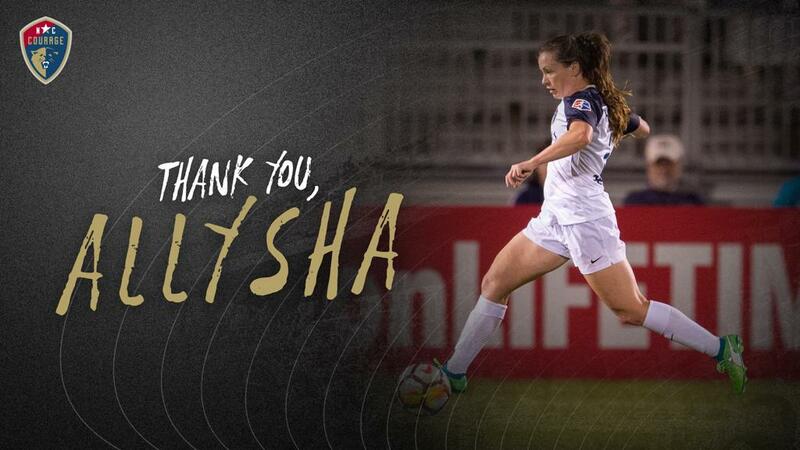 Cary, N.C. (May 9, 2018)- The North Carolina Courage has traded defender Allysha Chapman to the Houston Dash in exchange for Houston’s natural first round draft pick in the 2019 NWSL College Draft, the club announced today. Additionally, the NC Courage has given Houston two second-round draft picks, one of which was acquired by the Courage in a previous trade with Seattle Reign FC. The NC Courage acquired Chapman in the 2018 Dispersal Draft and the Canadian International made one appearance for the team against the Washington Spirit on Saturday, April 14. Before joining the Courage, Chapman played in 19 games for the Breakers in 2017, logging 1,642 minutes. Chapman returns to the Dash after playing for the team in 2015 and 2016 where she made 14 appearances over two seasons. The NC Courage return home to take on the Washington Spirit on Saturday, May 12 at 7 p.m. ET at Sahlen’s Stadium at WakeMed Soccer Park in Week 7 of the 2018 NWSL Season. Tickets can be purchases by calling the box office at 919-459-8144 or online at NCCourage.com/Tickets. The North Carolina Courage is a Division I professional women’s soccer team that plays in the National Women's Soccer League (NWSL). The NC Courage, the reigning NWSL Shield Winner, plays its home games at Sahlen’s Stadium at WakeMed Soccer Park in Cary, N.C. For more information, please visit www.NCCourage.com or follow us on Twitter and Facebook.